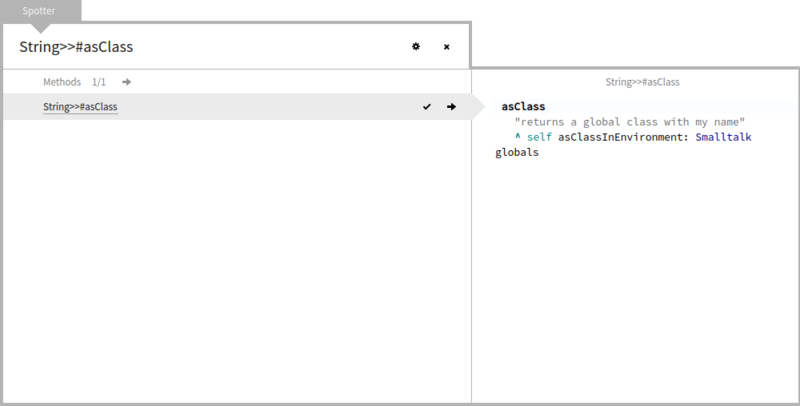 In Pharo, String>>asClass is a scripting convenience method that looks up a class based on its name. 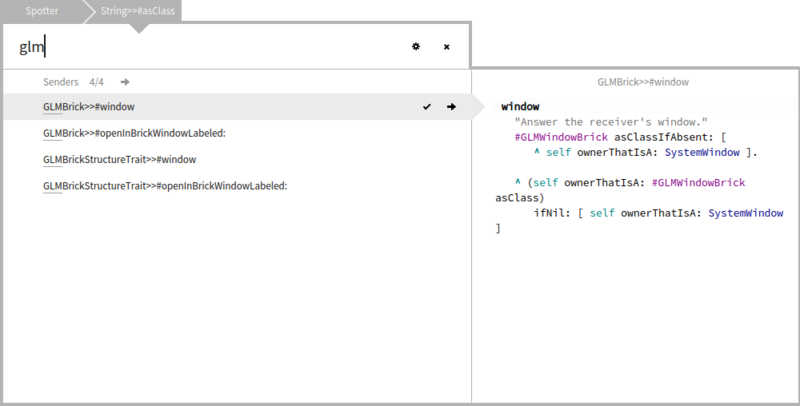 While in scripts it can be tolerated, using it in production code is an anti-pattern. ^ self asMorph openInWindow ]. This code should clearly not exist, but this is not what this post is about. The question is, how can we quickly find out where is String>>asClass used inside Glamour. Let’s use Spotter. We start from finding the String>>asClass method.